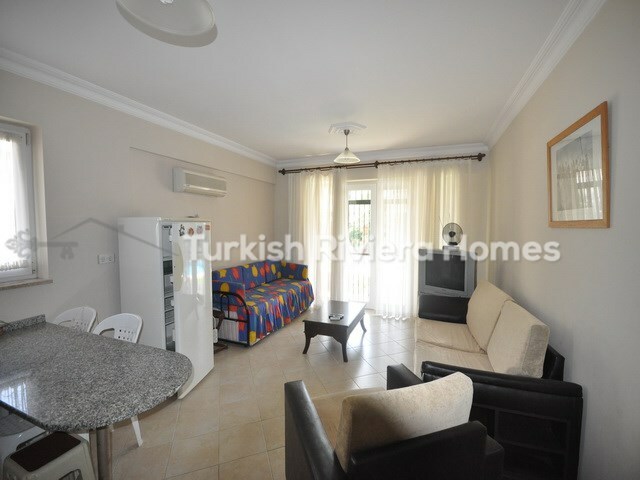 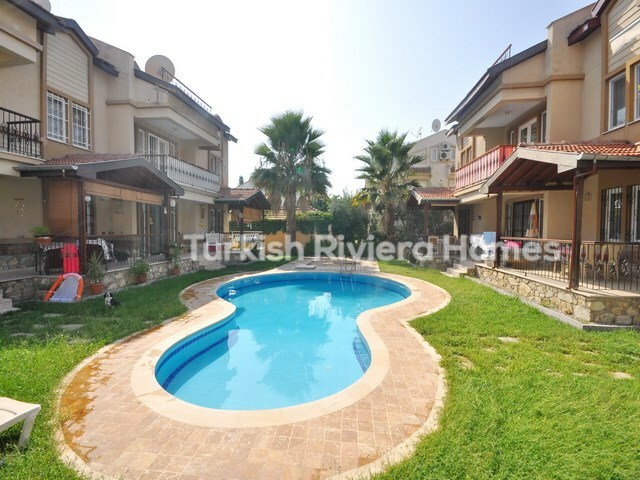 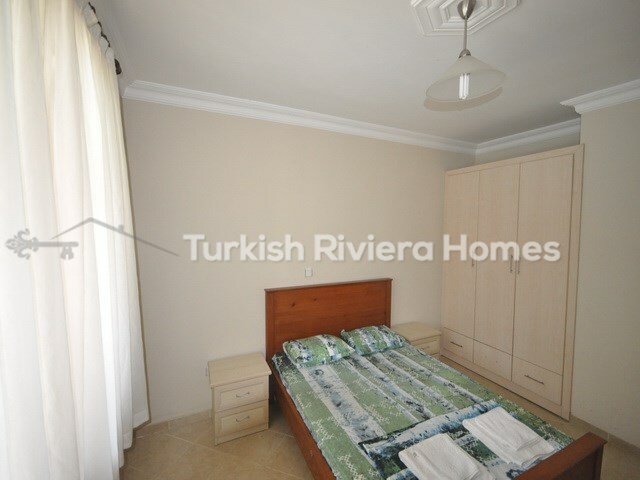 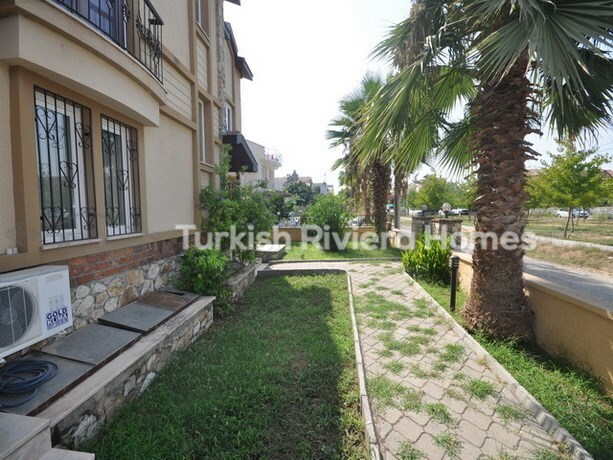 Modern style 2 bedroom apartment in Calis with communal pool set in landscaped gardens and ideally located for all amenities and a short walk to Calis seafront. 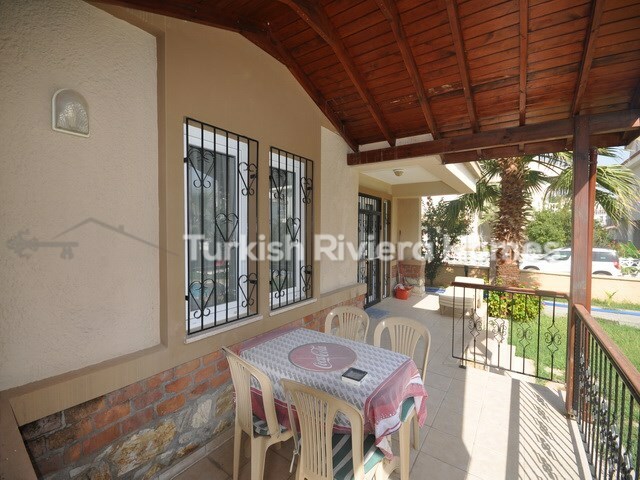 This realistically priced accommodation with two bedrooms would appeal for the first time buyer or as a great holiday home. 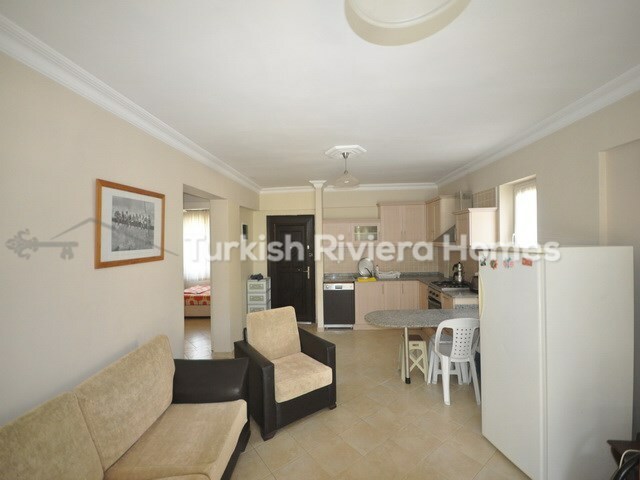 From the entrance into an open planned kitchen area with fitted units and breakfast bar, dining room and lounge with patio doors leading outside onto the terrace, overlooking the swimming pool. 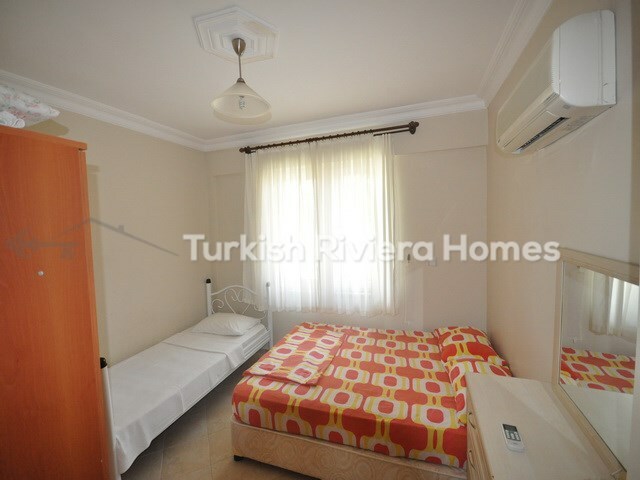 There are two large sized double bedrooms and a family bathroom. 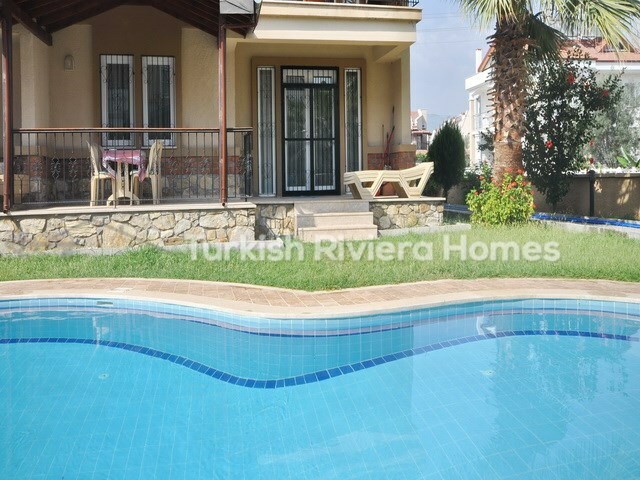 The property is fully furnished with air conditioning. 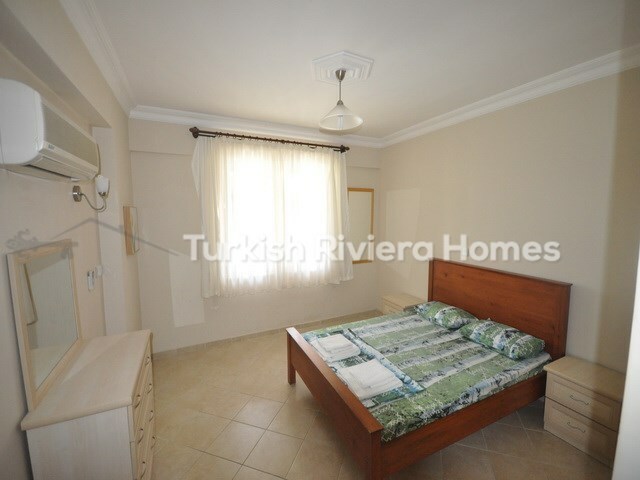 The Apartment is positioned within a residential area with the beach and promenade just a short walk away where you will find beautiful sea views and spectacular sunsets. 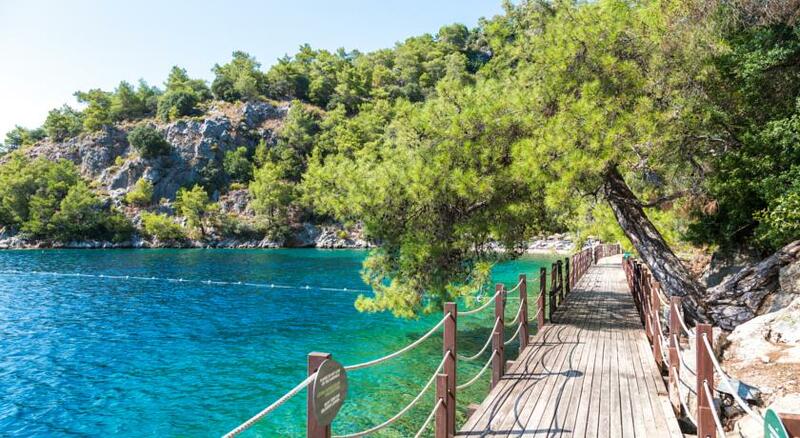 One of the best ways to explore the area is by water taxi and run on a regular timetable which is an extremely relaxed and enjoyable style of travel, however, if you prefer dry land, there are plenty of local minibusses to take you over to Fethiye and beyond. 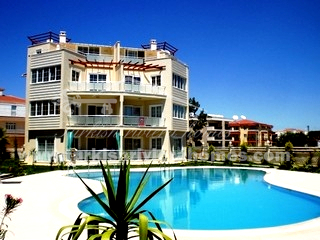 Dalaman International Airport is a 45-minute drive away.